As the 2019 general elections draw near, the people of the central and north senatorial districts have commenced subtle moves to secure the gubernatorial ticket of the ruling All Progressives Congress(APC) in Kwara state. The incumbent governor of the state, Alh Abdulfatah Ahmed who is running a second term of office hails from Kwara south; therefore, the zone is out of contest as far as the gubernatorial ticket of APC is concerned. The Saraki dynasty on whose platform Ahmed emerged as the governor in 2011 had agreed that from then the gubernatorial ticket would rotate among the three senatorial districts in the state. According to sources from the Saraki political family, the initial plan was to allow the incumbent governor, Alh Abdulfatah Ahmed to run only one term of office which could have ended by 2015, but the movement of Ahmed and his godfather, Dr Bukola Saraki from the Peoples Democratic Party(PDP) to APC in 2013 altered that arrangement. If the initial arrangement had stood, the need for the battle for the APC's ticket by the north and central zones wouldn't have arisen. But as it is now, the contest is opened to gubernatorial aspirants from the two zones, more so, when the leader of APC in the state and Senate President, Dr Bukola Saraki has not pointed at a direction. Kwara central is made up of Ilorin West,Ilorin East, Ilorin South and Asa local government areas and is said to account for 48 percent of the state's population. On its part, Kwara north is made up of Moro, Edu, Patigi, Baruten and Kaiama local government areas. While Kwara central has the advantage of strength, the north zone may have to contend with the dichotomy of Kaiama/ Baruten and Edu/Patigi axis. The former are Batonu while the latter are Nupe. The APC stalwarts that are eyeing the gubernatorial ticket of the party from Kwara central include an ex- Acting National Chairman of the PDP, Alhaji Abubakar Kawu Baraje; National Publicity Secretary of the APC, Mallam Bolaji Abdullahi; Speaker of the state House of Assembly, Dr Ali Ahmad; former member of the House of Representatives, Hon. Mashood Mustapha; immediate-past Chairman of the State Universal Basic Education Board, Alhaji Ladi Hassan; former Chief of Staff, Government House, Ilorin, Alhaji Mohammed Toyin Sanusi and a businessman, Ambassador Abdulfatai Seriki Gambari. Those from Kwara north include a member of the House of Representatives, representing Edu/Moro/Patigi Federal Constituency, Hon. Aliyu Ahman-Pategi; his counterpart from Baruten/Kaiama Federal Constituency, Hon. Zakari Mohammed; and a former Commissioner for Rural Development in the state, Alhaji Issa Adamu Bawa and the Senator representing Kwara North in the National Assembly, Alh Mohammed Shaaba Lafiagi. However, many of the prospective gubernatorial aspirants have yet to publicly make their intentions known, but their supporters have commenced moves to actualise the dream of their principals According to sources, social groups akin to political campaign organisations have been set up by the potential aspirants across the 16 local government areas of the state to commence subtle mobilisation to woo the people ahead of the primaries and governorship election proper. It was gathered that majority of the aspirants under the APC platform were weighing options while others decided to tarry awhile to avoid backlash from what a source said could be embarrassing to the state political structure". It could be recalled that the state APC leader, Dr Bukola Saraki, had at a meeting in Ilorin few months ago, cautioned intending governorship aspirants against any action that could distract the incumbent Governor Ahmed in their bid to succeed him. He also reportedly told politicians in the APC to exercise restraint pending when the whistle would be blown for the race. Some of the aspirants were unwilling to publicly declare their intention for the race but their close allies confided in LEADERSHIP Sunday that they were already making moves to grab the APC ticket when the time comes. 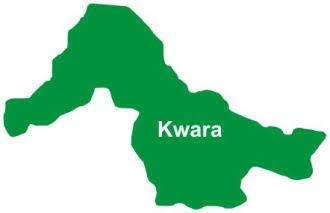 It was gathered that the battle for the governorship is a straight fight between the Kwara Central and Kwara North, prompting political heavyweights from the two Senatorial Districts to renew strategies ahead of the primaries. A top politician said, "As you know that Governor Abdulfatah Ahmed will be completing his second tenure next year, so also politicians are also warming up to take over from him. Governor Ahmed is from Kwara South and by agreement, though informal, it is supposed to be the turn of either Kwara North or Central. "Politics can be very dicey. So, don't be surprised if either of the two Senatorial Districts lay claim to the seat. At the moment, the leader (Saraki) has not decided on what to do with the horde of aspirants showing interest in the race. "He is our leader and we respect his opinion, especially we in the APC. I'm aware eminent politicians from both Kwara Central and North are eyeing the seat but they have all heard from the leader that it is not time for that. "As we speak, some of them have set up social groups and NGOs to realise their ambitions. If not all, I know of five that now boast of structures in the event that any of them is considered for the governorship ticket. But when we get to the bridge, we will cross it". Meawhile,associates,friends and supporters of a former member of the House of Representatives, Hon. Mashood Mustapha last Sunday held a special prayer for the gubernatorial ambition of the politician to become a reality. Though the prayer was specifically organised to mark the 55th birthday of Mustapha, the clerics were requested to beseech God to grant Mustapha's desire of becoming the next governor of Kwara state. The anchor of the brief prayer session, Alfa AbdulGaniyu Asileke repeatedly asked the clerics and dignitaries in attendance to focus prayer on the celebrant's gubernatorial ambition. Mustapha, a close aide and ally of the Senate President, Dr Bukola Saraki is yet to make his ambition public, but his supporters have begun subtle moves to ensure that he clinches the state governorship seat come 2019. An aide to Mustapha, Suleiman Yahaya corroborated Asileke, saying that yesterday's prayer session was at the instance of the entire people of Isale Aluko where Mustapha hails from. He said both "the Mustapha's family and the entire people of Isale Aluko are desirous of seeing Mustapha succeeding Governor Abdulfatah Ahmed come 2019." Yahaya asked the clerics and other stakeholders not to leave any stone unturned in ensuring the politician's emergence on Kwara's driver's seat in the next political dispensation. The cleric, who led the special prayer, Imam AbdulGaniyu Asileke, beseeched God to grant Mustapha sound health, long life and prosperity. He equally prayed God to help Mustapha realises his gubernatorial ambition come 2019. In a brief lecture, Sheik AbdulRasaq Milo, said philanthropic gesture of Mustapha qualified him to be the next governor of the state.